The Wedding Planner Magazine just released their first issue covering the southern region of West Virginia. 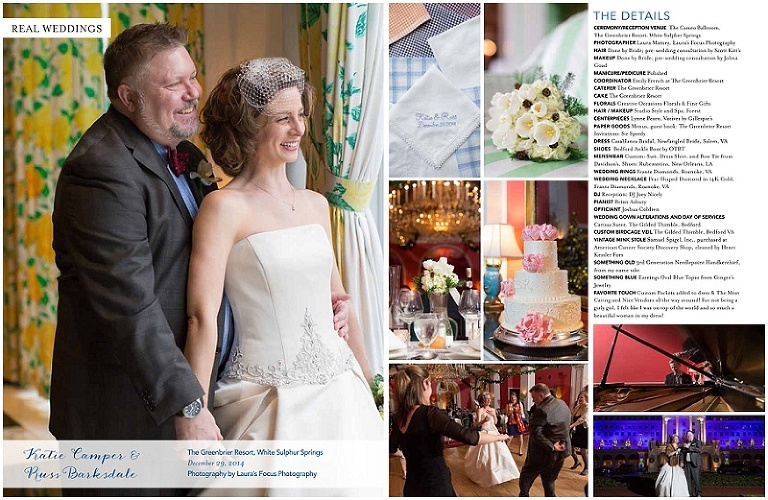 I was so excited to have Katie & Russ’ wedding at The Greenbrier featured in the Real Weddings section! Here is a peek at the spread and copies can be picked up today!